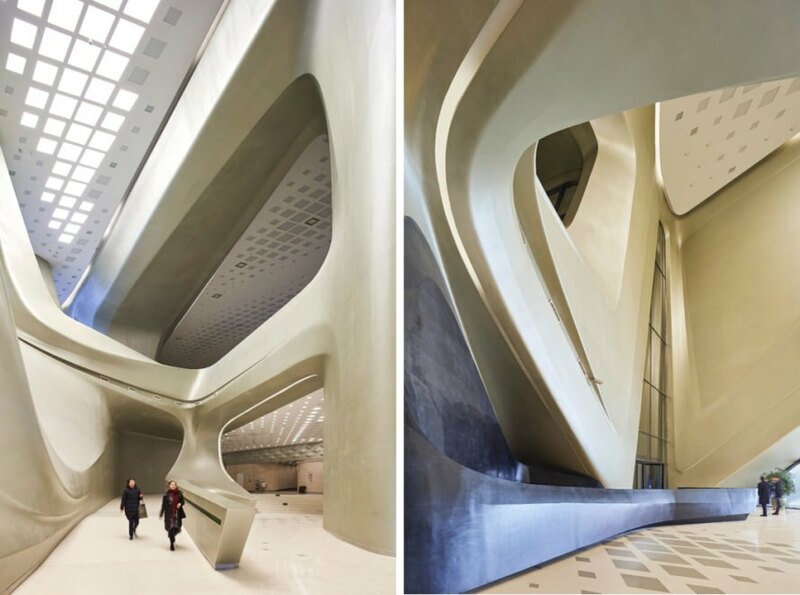 Zaha Hadid Architects completed the Nanjing International Youth Cultural Centre, a striking mixed-use facility that blends the firm’s iconic sinuous architecture with elements from traditional Chinese culture. Billed as China’s first completely top-down/ bottom-up tower construction, the entire center was constructed in just 34 months and is the largest glass-reinforced concrete development in the country. Sustainability is woven into the highly complex design from the optimization of natural ventilation and lighting to the use of a self-cleaning facade system. 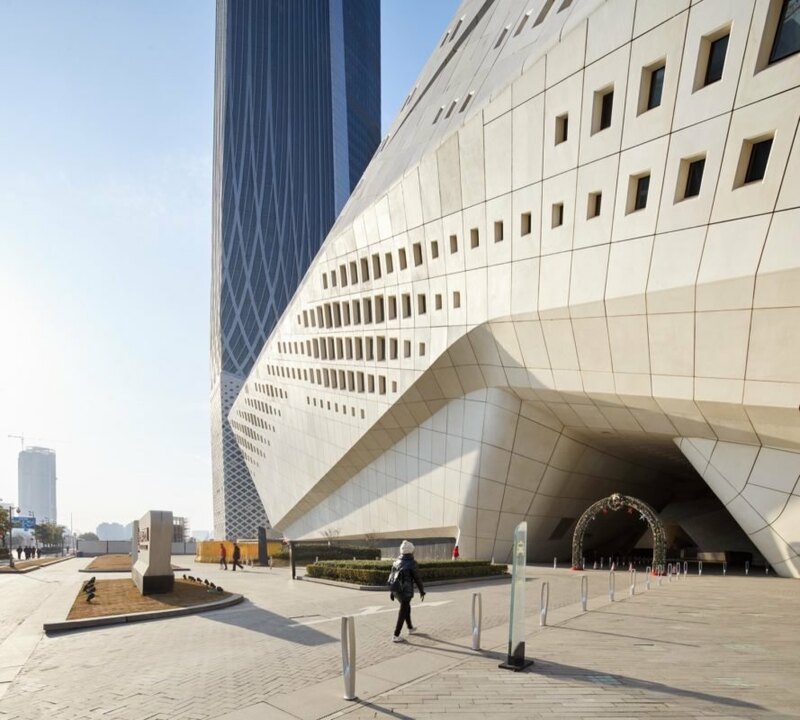 With gross floor area totaling over five million square feet, the Nanjing International Youth Cultural Centre boasts two tapering towers—Zaha Hadid Architects’ tallest completed towers to date—linked by a five-story mixed-use podium that contains the Cultural Centre. At 315 meters in height, the taller tower houses offices and the new Jumeirah Nanjing Hotel, while the shorter 255-meter tower includes a four-star hotel. 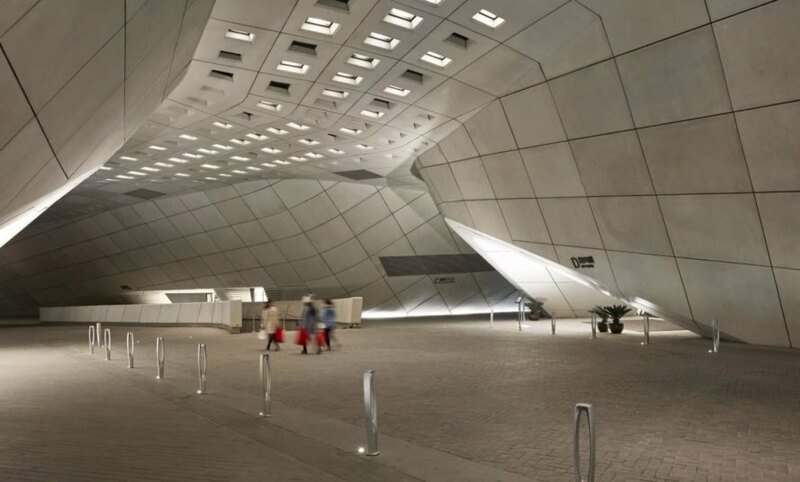 The Cultural Center is divided into four main programs: a 2,100-seat Conference Hall, a 500-seat Auditorium, a Multifunctional Hall and Guest Zone; the independent volumes are organized around a central courtyard. Optimized for riverfront views, the development is located along the river in Hexi New Town as part of Nanjing’s new central business district. To reduce the development’s energy footprint, the architects optimized the layout to funnel natural light deep into the buildings. Passive design strategies were used, as were efficient cooling and heating systems and a flexible floor plan to maximize the project’s design life. The two towers are the tallest completes towers to date by Zaha Hadid Architects. The centre's three dimensional calligraphic design is part of Nanjing's 1,600-year-old tradition of Yunjin. The towers are mainland China's first tower construction combining above and below ground design. The tcentre was completed in 34 months after design began. The centre allows pedestrians to walk through tan open landscape at ground level. The towers stand at 255 meters and 315 meters. Natural light is brought into the deep spaces of the conference centre and minimized the needs to augment daylight. The theatre is very popular due to its 2,100 seats. 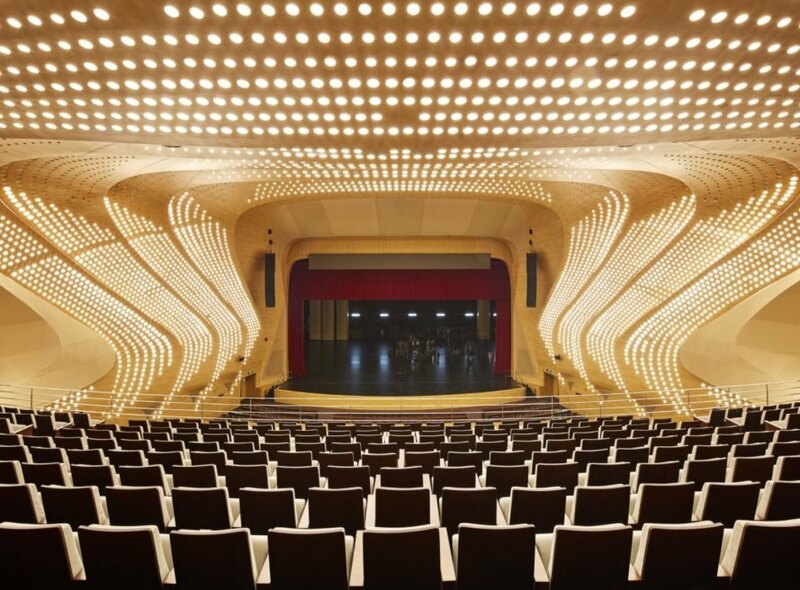 The theatre's stage is equipped with a multipurpose proscenium stage. The tower's floor plans were made to maximize their river-facing fronts.